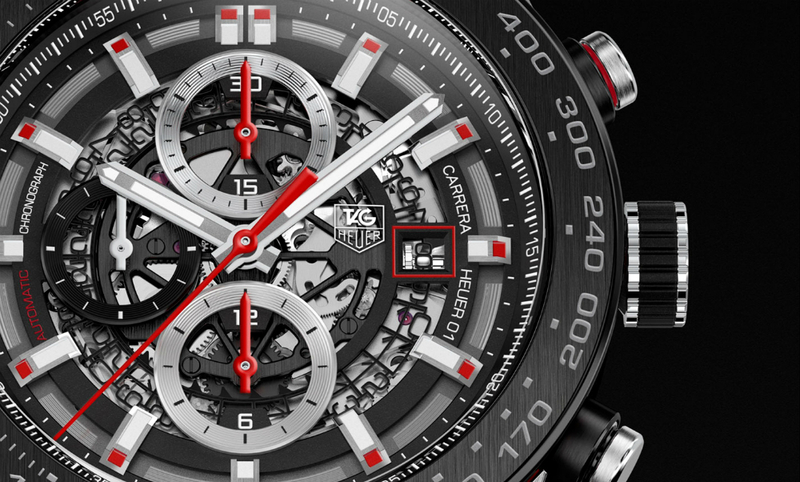 TAG Heuer, the Swiss watchmaker who has been making headlines with its upcoming $1K+ Android Wear smartwatch, has revealed the name for the device. As stated by Jean-Claude Biver, TAG’s CEO, the watch will be called the Carrera Wearable 01, symbolizing the similarities between the wearable device and TAG’s current Carrera Heuer 01 watch, pictured above. Even for us American buyers, I would not go so far as to say Android Wear and mobile Intel processors are the criteria for quality and reliability. Quality, maybe, but reliability seems to be pushing it. To me, if I am paying nearly $1,400 for a smartwatch, the hardware better be the selling point, and it better last a long time. To combat the notion that its smartwatch will be outdated in only years, TAG claims the watch will be upgradable as time goes on and technology matures. For example, if you gave the watch as a gift, TAG will make sure the watch will last a lifetime. “We want to be able to change the technology but keep the watch elements. If your child completed their Masters degree, you might want to give them a watch. We want to create something that will stay on your watch for a lifetime, that’s what TAG Heuer does. And as the technology changes, it will change,” claims TAG’s UK communications manager Alexandra King. TAG’s smartwatch is set to release in Q4 of this year, featuring a price tag of around $1,400. As you hear more about it, does it interest you?